Do you know how much trouble can torsion and extension springs problems cause? Improperly adjusted and the door won’t be balanced. Why is this important? Because the garage door won’t move right and might become a threat to someone’s safety. Broken springs will keep the door from opening. And that’s bad news for your convenience. Due to their tension, springs are hard to fix without getting injured. So do hold on to our contact info and give us a call should you ever need garage door springs repair in Plymouth, Minnesota. No matter what service you need, we send out experienced and insured pros to handle your garage door spring repair needs. Our company has been working with specialists in the field that understand the dangers of springs and take all precautions to ensure the job is done with safety. This is important for the avoidance of property damage. The quality of service ensures that the garage door will move safely and close firmly. Choose us for trusted torsion spring repair and any repair service on extension springs. 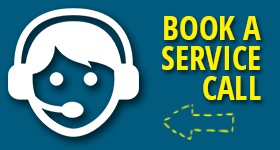 Irrespective of spring type, the service pros can tackle any problem and do any repair needed. When you come to us for routine services, the pros check and lubricate the springs too. Galvanized springs need adjustment from time to time. Spring coils need lubes in order to move without making noises. Without lubricants, springs become rusty and might break easier. Why let it come to that? Schedule spring services before the winter comes to spare yourself hassles with broken springs. 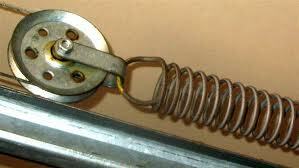 By all means, we are at your disposal for garage door spring replacement. Whether you decide to replace the old and damaged springs before they break or the springs are already broken, we help in a hurry. Contact us now and an expert will come shortly to replace the broken springs. Give us a call if you need adjustments or lubrication and a Plymouth garage door springs repair tech will come out as soon as possible.